First is an interview with Ralph and Barney, now is an interview with Kavana and Barney. This is an email interview by Flora Yeo which you could see it here. But I'll also post the whole interview here in case anything happens to it. Thanks Jimmy Riddle for the link. You're always being updated to Libera things fast :). What I like about this interview is that for the second question, they would like to try the Hawker food there. Yep, the hawker food is really great. For any fans who are going there too besides Libera, it's a must-try. Malaysia also has hawker stalls too but our style of food is different from Singapore's. Barney sang in a school play before? I never knew that :D. But it's good to discover your talents at a young age. Even for me, my mom told me that I could hum to "Mary Had A Little Lamb" when I was 6 months old. How nice of his parents to take him out for a special dinner :). I like Kavana's answer for the last question. Concerts first :). Always wanted to know how these boys juggled professional singing and school? Or how about the one singer they would like to work with? in2it.sg did an exclusive email interview with 2 of the boys who will be down with their choir for a 2-day concert here in Singapore next week! If you have not gotten your tickets, how about winning a pair of tickets (worth $156) right here at in2it.sg? Contest details here. Hello! Can you do a short introduction of yourself and your group? Kavana: Hi there! My names Kavana, aged 13, and I'm a part of Libera. 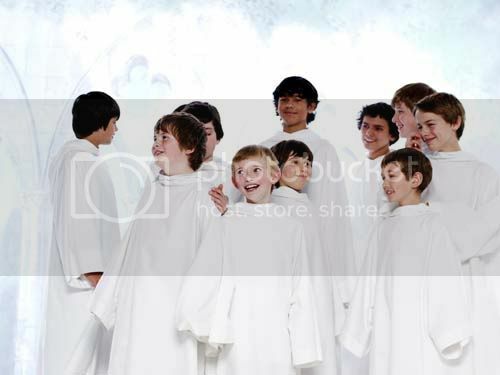 Libera is a boys choir with an age range of 7-16, based in South London. We sing our own songs, like ‘Sanctus’ and also put our own harmonies into songs, like 'Orinoco Flow'. We get together about 4 times a week to rehearse, and we tour around the world, which is awesome! Barney: My names Barney and I'm 11 years old. I would describe Libera as a unique group because we're all very young, but when we do our concerts, you wouldn't think we're just a bunch of boys from South London! Will this be your first time here in Singapore? What are you hoping to see or any delicacies you want to try? Kavana: This is our first time in Singapore, and for some of the little ones it will be their first time away with us, so we're all excited. We don't know much about Singapore, but from what we have heard the food is great! We also interested to taste some Hawker food as well. Barney: This will be my first time in Singapore so I'm really excited; I love noodles and spicy foods and I’m looking forward to tasting the real thing! What are your training sessions like? Kavana: Our rehearsals are very fun. Even though some of them can be long, we all enjoy it. It's particularly good because of course we're with friends, so it's also a time to meet up with them. Barney: Rehearsals are hard work but they're definitely worth it. When we arrive at a rehearsal, we're all a bit rusty after a long day at school so we get to do lots of fun warm ups. At such a young age, you boys have displayed such amazing talents! How did you discover your passion for singing? Kavana: Thank you! Even at a young age, we still all knew what we liked and didn't. I guess the passion for singing just comes naturally, if you like, as well as the passion for music. Barney: I first discovered that I could sing when I was 8. I had to sing at my school play because I was Little John from Robin Hood. All of my friends said I had a talent and my parents took me out for a special dinner! Who is the one singer that you would like to work with? Kavana: Over the years as a group, we have sung with many fantastic singers, like Bocelli, Katherine Jenkins and even Pavarotti. I'm not sure really, as we all have our different opinions. Of course, we love singing and meeting new people as well. Barney: If I could sing with any singer then I would definitely choose Adele because I really like the richness if her voice and I'm always singing along to ' Someone Like You'! Juggling both school life and singing professionally is pretty tough. How do you boys manage it? Barney: It can sometimes be hard to get all my homework done in time for rehearsals but apart from that, it's usually fine. 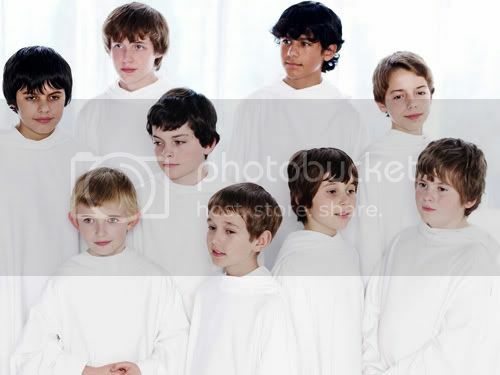 What can we expect in the future for Libera? Kavana: That's a tough one. Another album maybe, some television appearances. But of course, the concerts first (which of course you should come to!). 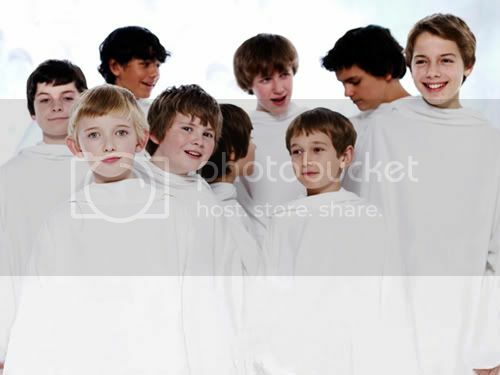 Barney: I think that the future of Libera is always changing – a little bit at a time, as new 7 year olds join, and older ones start to sing with their new lower voices. This means that this week we have lots of ‘miniboys’ – as we call our new boys - who've never been on tour or sang on stage before. Obviously they will adapt and become extremely good singers thanks to our excellent coaching. But for now they'll have to work really hard to learn masses of music, and where to stand, and which harmony part to sing.